We are now proudly carrying McCauley's Feeds, as well as their supplements. 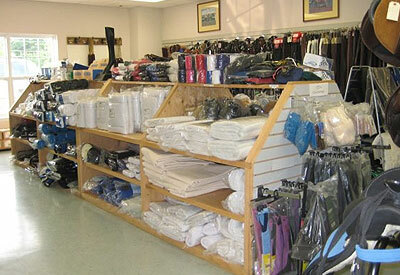 One-stop shopping for all your equine needs! Horse Cents is licensed to sell restricted iodine products. Get those hard to find leg paints and 7% strong iodine here. Horse Cents leather goods are made right here in our shop - no out-sourcing here. We have a large selection of consignment saddles - english, western, and trail - to chose from. Come try one out! Horse Cents has a new toll free number . Use our new toll free number (866)872-3585.